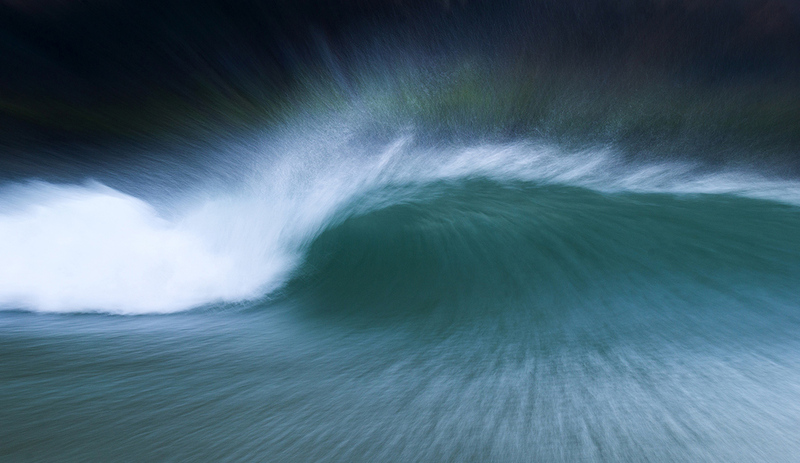 Taking photos of surf with a slow shutter speed is risky but it certainly has its rewards. For those that aren’t familiar with the intricacies of a camera, the shutter acts as if it were a solid curtain facing the digital sensor (or the film before digital cameras took over). Thus, the shutter is a barrier between what goes through the lens and what is actually captured. If there were no shutter, we would be constantly recording light from the moment the lens cap is removed. The end result of something as simple as a shutter speed adjustment is that the movement of your subject is captured differently. 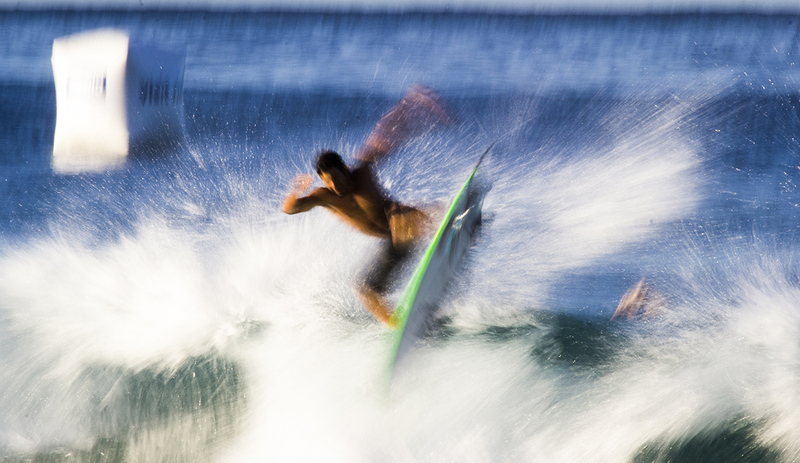 Because surfing is such a dynamic, fast-moving sport, high shutter speeds are the norm — I’d guess anything under 1/500th of a second already risks the opportunity to “perfectly” freeze the action with a Tele lens. But you can counteract this “rule” when you misfire and end up with a shot that has too much movement and a little less sharpness than you’d like. With very low shutter speeds, the surfer and the sea gain different contours. I usually use between 1/20 and 1/5 of a second depending on what regulates best with light and movement, but there is no recipe for speed. 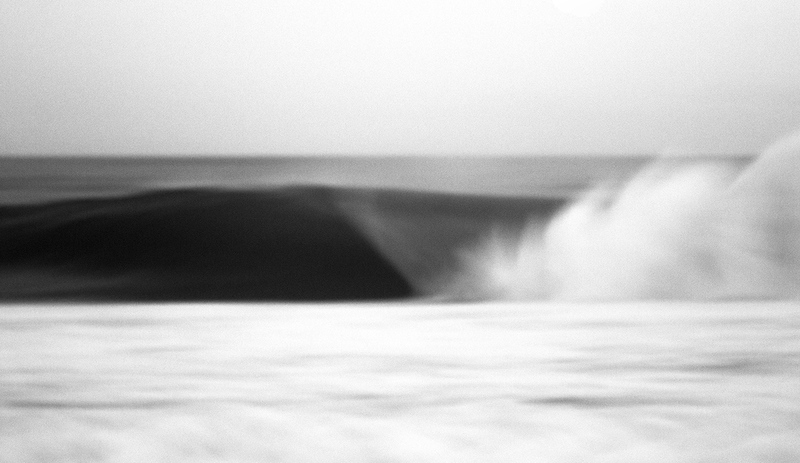 Capturing surf with slow shutter speeds is very abnormal, it’s experimental, and refining it as an art requires repetition. Sometimes you lose control of the circumstances and miss a critical moment on a wave, but that same touch of randomness is also a motivator. 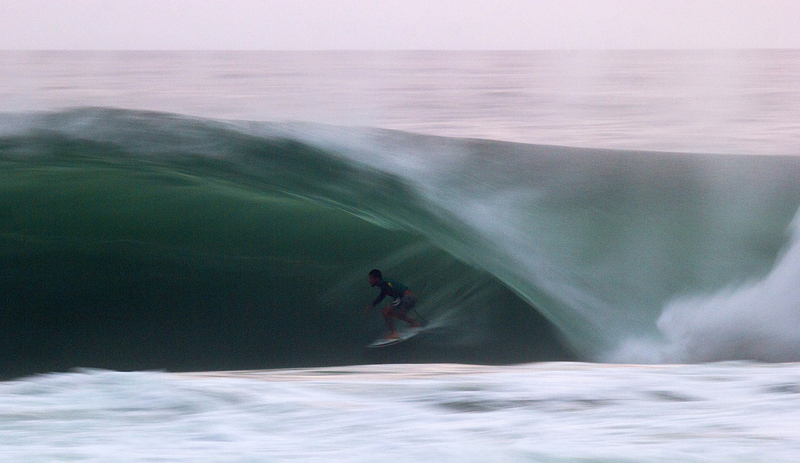 It’s an opportunity to add yet another variable into capturing surfing — a subject that is already ripe with multiple, unpredictable possibilities.